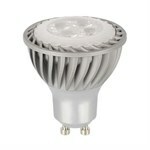 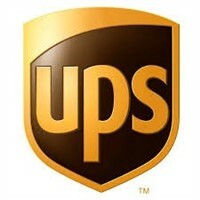 The GE PAR16 3.5W Dimmable LED GU10 Lamp is part of GE's huge range of decorative LED lamps. 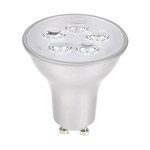 With an GU10 base it delivers a cool light and output similar to 74 W filament bulbs. 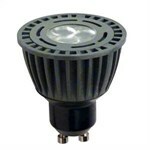 This LED is available in cool white, which is commonly used in retail and hospitality areas. 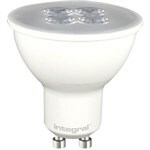 LED bulbs last 30-50 times longer than incandescent and halogen light bulbs and cost far less to operate. 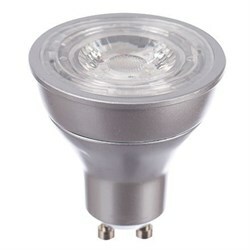 For example, if you switch just four traditional bulbs to the GE PAR16 3.5W Dimmable LED GU10 Lamp, and use your lights for an average of three hours per day, you can save more than £400 in electricity costs over the lamp's lifespan.